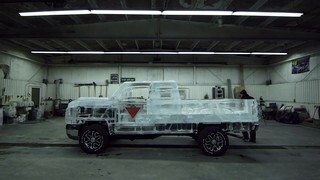 Watch 11, 000 pounds of water form into the Canadian Tire Ice Truck equipped with the MotoMaster Eliminator Ultra Automotive Battery with AGM. This reverse melt video was shot over a period of 44 hours. Sorry! The video you tried to access is no longer active (1475296980).